A cleanser and toner in one time-saving step! Clarins’ dual-action, anti-pollution formula—with gentle Orange and Moringa Seed extracts-—removes every last trace of make-up, impurities and skin-dulling dry cells, while reviving skin’s natural radiance. So pure and refreshing, there’s no need to rinse. Rated 5 out of 5 by Chahehe from Practical product I have been using this cleanser for quite a few years. Great for when I am in a hurry in the morning or to refresh the cleaning of my skin before an evening out. It nicely removes dirt accumulated in the course of the day. Rated 5 out of 5 by Rosie from This project leaves my skin so soft and feeling like velvet. Rated 5 out of 5 by Maureen from a new skin Between the aroma and the way this product feels...It's like I put on a new skin every day. Rated 5 out of 5 by Claresmum from Really does it all I love having great skin at 52 but it does take work. 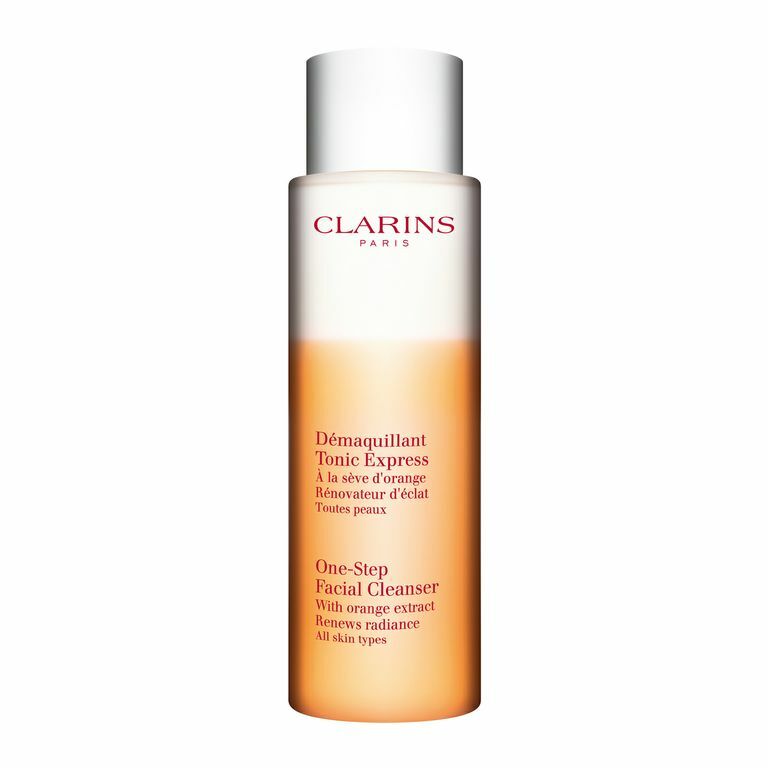 Clarins One-Step Facial Cleanser just makes it easier. It cleans beautifully and the orange extract gives it a zing that seems to wake up my skin. My skin feels clean and smooth and it smells lovely.